Posted on Friday, October 3rd, 2014 at 11:00 am. 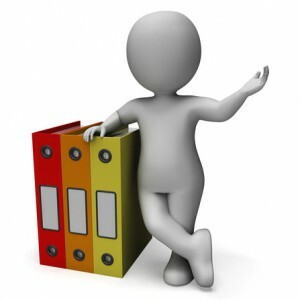 Organizing is not a favorite hobby of most people, but it helps you to be systematic and orderly. To assist you in furthering your skills as a personal assistant, you may join Foundation Skills for Administrative and Executive Assistants delivered by pdtraining in Baltimore, Chicago and other cities in the U.S. Organizing becomes easy when it becomes a habit. If you feel that you are spending too much time looking for things, and you do not know the location of many of important things that you need, then you need to spend a few minutes everyday to develop the habit of organizing. How Does Organizing Help You? Conveniently retrieve objects, information, etc. Becoming organized is not difficult because it does not require you to work on it for many hours. All you need to do is to spend five to ten minutes every day or remind yourself to organize as you are doing a task. You may create an organizing checklist to ritualize organizing. Here is how to do it. List the tasks that require organizing. For example, if you are to keep a record of the number of orders you got in a day on an Excel sheet, then you must record them at the end of each day and not postpone it. Even if the information will be available to you anytime, it is best to complete it daily to avoid confusion. Even when you have good organizing habits, there are some things that will always need to be fixed. It might be the records that you no longer need or the old files that need to be stacked away. For completing such tasks, you must plan a specific date. Keeping one particular day every month or every two months for getting rid of the junk, storing away stuff, etc. forces you to do these tasks. Tasks such as these may seem insignificant and tiresome, but they are an important part of maintaining productivity. Keeping a single day each time to complete such tasks is a good way to remember the date and motivate yourself.